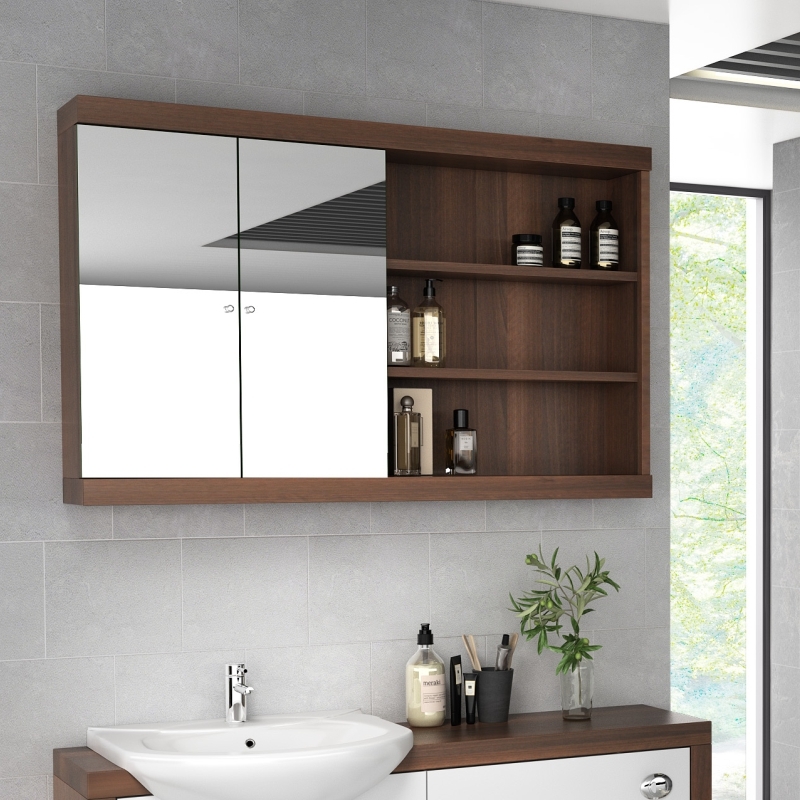 The striking Lucido 1500 Fitted Bathroom Vanity and Toilet unit combination is a British design and is manufactured from a combination of a 50mm wood grain carcass with an 18mm MDF high gloss acrylic fronts offering ultra-modern design. 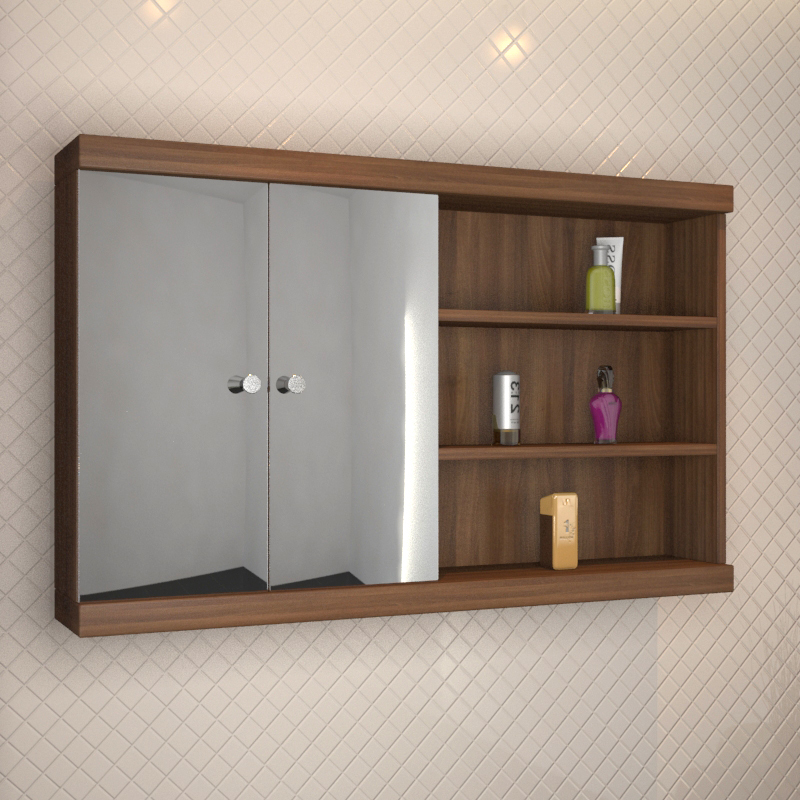 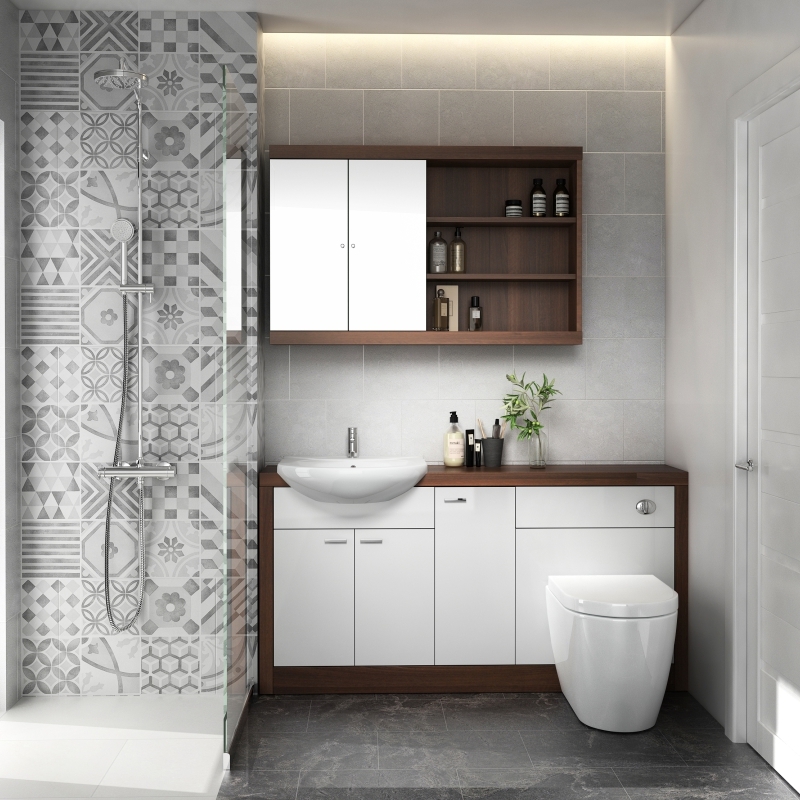 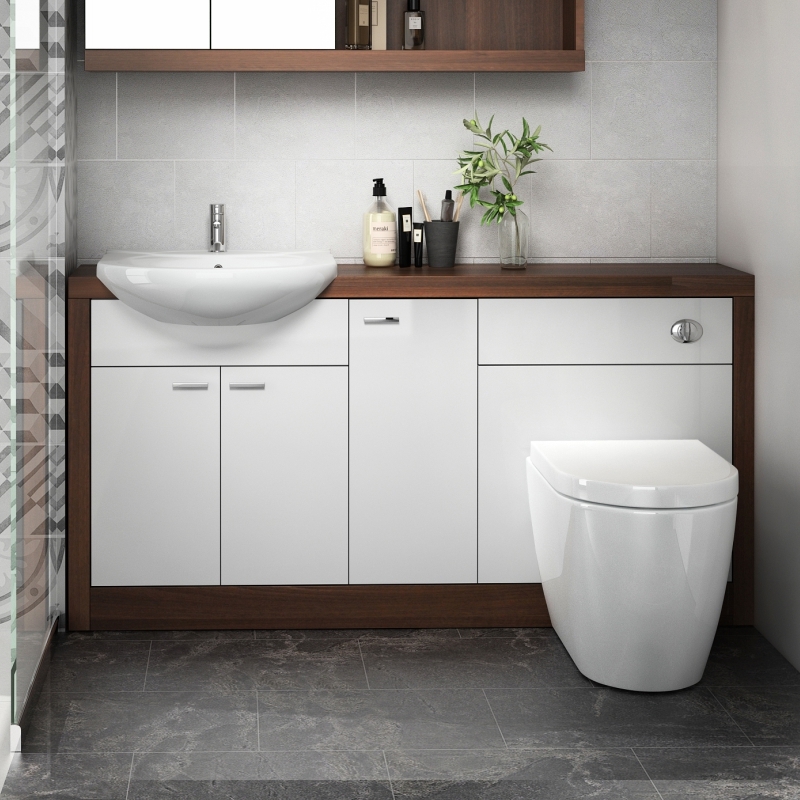 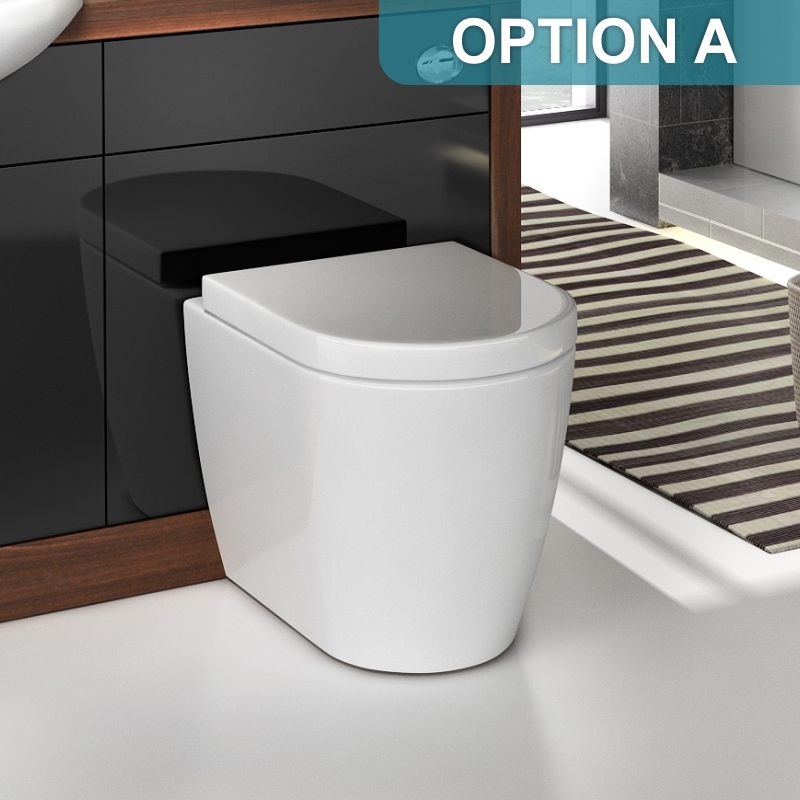 This modern fitted furniture pack includes a vanity unit with basin, a white high gloss acrylic-finished back-to-wall cistern unit, and a storage cupboard set within a contrasting dark walnut worktop with matching side panels. 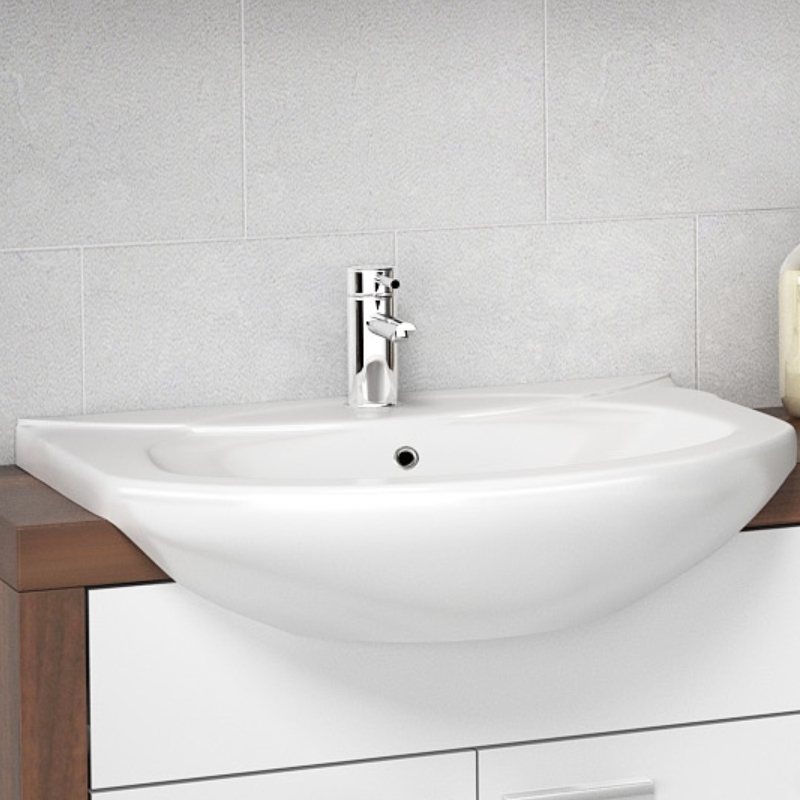 We also offer extra options to help you fully complete your installation, including adding either just a toilet pan and seat or a toilet pan, seat and mono basin mixer tap. 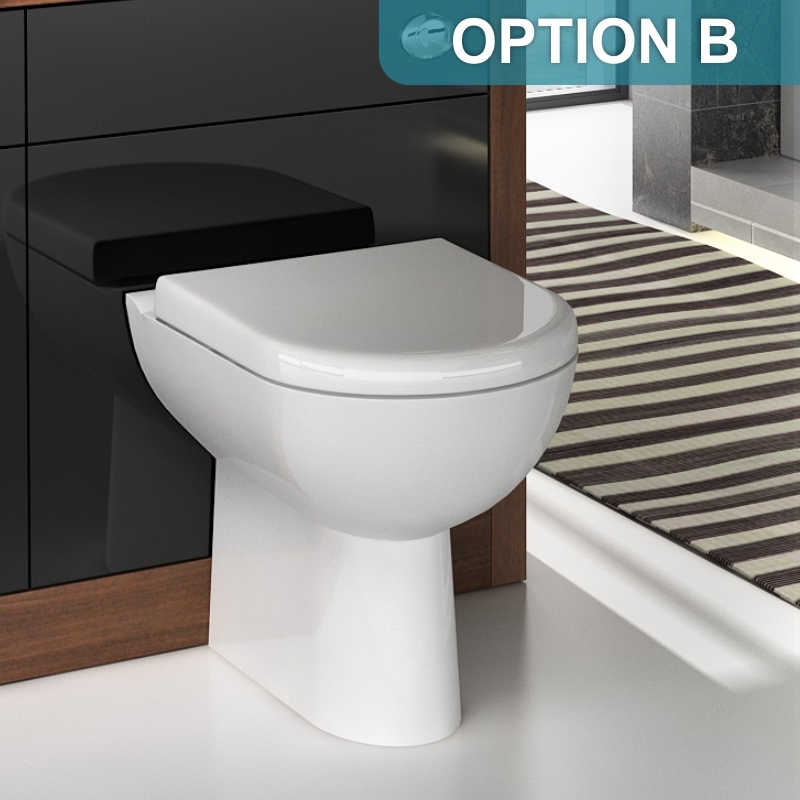 There is a choice of 2 different pans to choose from (see illustrations). 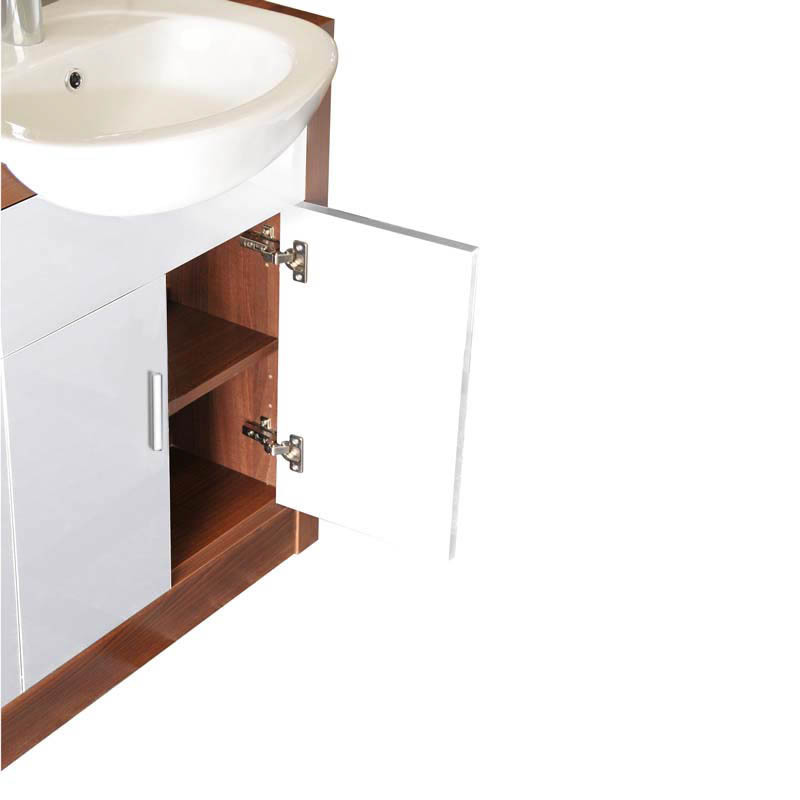 NB: The Vanity unit is universal the basin can be fitted on either left or right hand side.